As someone raised in Christian Science, you may not have received recommended vaccinations as a child. This can leave you vulnerable to preventable diseases, and can also make you a carrier who could transmit these diseases to people who are unable to get vaccinated. 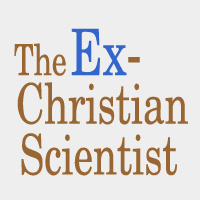 Many ex-Christian Scientists view getting vaccinated as an important step in their recovery. In this blog, I use the terms immunization, vaccine, and shot interchangeably. I also provide resources for the United States because that’s what I’m familiar with, but similar resources for vaccinations standard in other countries are easily found online. Immunizations are covered at 100% by health insurance because they are classified as preventative care. So, they will not cost you anything out of pocket if you have health insurance. There are several different types of vaccines that you will need to catch up on and get in the future. There is a standard set that all children in the US should receive, there are vaccinations that adults need, and there are also vaccinations that you should get every year, like the influenza (flu) vaccine. There are also specific vaccines either recommended or required if you are traveling to certain countries. When preparing to travel out of the country, you should check the CDC website to find out which vaccinations are recommended. In some cases such as for the yellow fever vaccine, you will not be able to re-enter the US without proof that you received a particular vaccine. Don’t worry, your doctor will tell you which ones you need. I want to tell you about my experience with vaccinations to illustrate why it is important to get them now. I got the measles at CedarS Camps, a major summer camp for Christian Scientists, when I was a small child. There have been many measles outbreaks at Christian Science camps and Principia College. Every time, the CDC comes in and shuts it down, and the children’s parents make the choice of either having their child receive the measles vaccine or going home. Unfortunately, many faithful, well-meaning, but woefully and willfully ignorant Christian Science parents expose their children to complications including pneumonia, encephalitis of the brain, and death by skipping this one vaccination. My family moved several times when I was growing up. Every time we moved and I had to enroll in a different school, my mother had to scramble to produce notarized documentation that exempted me from vaccinations for religious reasons, which was legal in the state I grew up in. Every time, either she had to find these documents after having just moved or get new ones notarized and this always caused a scramble and an awkward delay. This happened again when I was registering for college classes and the delay caused me to miss getting in to some of the classes I needed because of the time it took to get forms notarized and physically sent to the college. I also had to deal with this awkwardness when traveling internationally for a job. So, by getting vaccinated, you can avoid situations like these for times you need to produce an up-to-date shot record. I got caught up on childhood vaccinations in my 20’s so that I could travel internationally, even though I was still sort of a Christian Scientist then. However, I stubbornly did not get the flu vaccine every year even after getting the recommended childhood vaccinations. One year, I traveled to my home state to visit extended family and got sick while visiting. It was miserable, and I remember being sick like that several times before. When I got home, I went to the doctor and they tested me and told me that I had the flu. During my trip, I had interacted with an infant and an elderly person while visiting my extended family, and felt horrible for exposing those vulnerable populations to an easily preventable, but potentially fatal, disease. I’d also exposed two planes full of people while traveling home. I felt incredibly stupid. Now, I am proud of myself every time I get my flu shot every year. When you go to your primary care doctor, tell them that you were not immunized as a child and that you would like to get caught up on your shots. If you are comfortable doing so, you can let them know that your parents raised you without medical care. After some initial surprise, they are usually pretty understanding and relieved that you would like to get immunized now. First, you need to find out which shots you need. You can choose to either go ahead and get all of them, or you can request an Immunity/Vaccine/Antibody Detection test. Because you were not immunized as a child, you may have gotten some diseases and already have immunity to them and therefore do not need a vaccination for those diseases. If so, you can avoid the soreness that occurs from getting an unneccesary shot and any potential side effects. You will also learn more about your childhood by finding out which diseases you had. For example, I got chicken pox and measles as an unvaccinated child raised in Christian Science. That meant that I did not need the chicken pox vaccine. I did still need the MMR (measles, mumps & rubella) vaccine in order to get immunity to mumps & rubella. I remember having the measles, but I don’t remember having the chicken pox. It’s also good to know for your health history, and having this data on record will contribute to statistics which inform public policy. Your doctor will tell you which ones you should get based on your age, health history, risk factors, etc. Some shots need to be gotten in a series of two or three within a certain period of time, like 30 days or < 6 months. If you need a series, it’s important that you come back to get the subsequent shots within the specified time period so that the immunization will be effective. There may be some vaccinations that came about more recently that your doctor might recommend for you, like the HPV vaccine, that may not be covered by your health insurance because they have not yet been added to the CDC’s list for your age group. So there is a chance that the cost for these additional vaccines might not be fully covered by your insurance, but you can call them to check beforehand. Even if there is an out-of-pocket cost, it is a good idea to get them if you can afford to do so. Now that you know which shots you need, you can decide on the timeline for how to get your immunizations. You can get several at once or spread them out. I personally recommend that you plan to get one vaccination per month, but it may be more convenient for you to get most of them all at once and then only return for the series shots, or spread them out to get a few at a time with your series shots. For example, military members are often given 8+ vaccinations at once. Either way you choose, it should not make a difference on the cost (free). The nurse administering the shot will ask you where you would like it. The most common place to get a shot is in the upper part of your non-dominant arm. They may also be able to give it to you on your hip. You might want to consider which side you sleep on and get the shot on the opposite side. You may have a choice in vaccine delivery mechanisms. Anything that can be breathed in will be more pleasant than receiving it as a shot. There are also “live” vaccines, which may not be recommended if you have small children in your household, are pregnant, or live with someone who is pregnant. You might be advised to wear long sleeves to sleep in for some period of time while the vaccine is absorbed. Your doctor or nurse will go over all of this with you and send you home with a pamphlet containing all of the information you need. The annual flu shot is available at pharmacies for convenience and you can use your health insurance and skip the doctor’s appointment if that works better for you. A nurse at the pharmacy will administer the shots. Be aware that there are potential side effects from vaccinations. The FDA has concluded that the benefits outweigh the downsides. Read the information you receive thoroughly. I personally experienced a swollen lymph node from the MMR vaccine. This happens in 15% of children who receive it. If you are self-aware and informed about what could happen to you as a result of getting particular vaccines, you can recognize when you are experiencing a side effect and find ways to reduce the impact of these side effects. You can also call your doctor’s office for advice on how to handle side effects if you experience them. For my swollen lymph node, I read that it helps to sleep on the opposite side so that the lymph node gets less blood flow. After I did this, the swelling went down. Even though I had this unpleasant side effect for about two weeks, I am still glad that I got that shot. Most of the time, the area where you received the shot is simply sore for a few days to a week and there are no side effects. I’ve gotten probably fifteen shots total and only had this very minor side effect with one. Now that you have been vaccinated, you can feel good about participating in a free public health benefit and display your new shot record proudly. You will get sick less often, and can no longer be a potential carrier endangering infants, elderly, or people otherwise unable to get vaccinated with easily preventable diseases. Now you can rest assured that you won’t get a debilitating disease that is easily preventable. You will also no longer need to feel awkward about a misinformed religious exemption imposed on you by well-meaning parents. Your shot record will come in handy when you apply to live in a college dorm or for certain jobs.